Apparently, Apple plans not only successor to the iPhone XS, the iPhone XS Max and the iPhone XR, but also two other new models with triple camera and fast charging power supply. That at least writes MacRumors , citing the Japanese blog Mac Otakara. Accordingly, Apple allegedly working on two new iPhones with screen diagonals of 6.1 and 6.5 inches. Both smartphones should have a triple camera and appear in addition to the actual line-up, which will presumably consist of the successor to the iPhone XR, the iPhone XS and the iPhone XS Max. Due to the larger triple camera system, the new models could turn out a bit thicker: According to the 6.1-inch version 0.15 millimeters thicker than the iPhone XS, while the camera sink is 0.5 millimeters smaller. New iPhones with USB C to Lightning Cable & Reverse Wireless Charging? The 6.5-inch model, however, should be 0.4 millimeters thicker than the iPhone XS Max and have a 0.25 millimeter smaller camera sink. 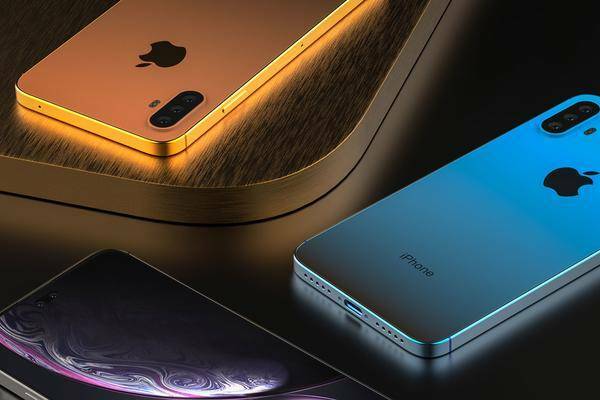 In addition, the new smartphones will be delivered with a USB-C-on-Lightning cable and an 18-watt power supply, which could provide the new iPhone much faster with energy . So-called Reverse Wireless Charging should also be on board, which could be about the Apple Watch or AirPods wirelessly charged via the back of the smartphone. That the iPhone 2019 will get a triple camera, has been clear for some time . For a long time, it was said that the triple cam was designed exclusively for a model, the iPhone XS Max 2019 . The well-known tech insider OnLeaks recently emphasized on Twitter, however, with reference to an unconfirmed source, that all three new iPhones in 2019 will have a triple camera. While the rumor should be viewed with some skepticism, in the past, Mac Otakara has sometimes been a good source of information about unconfirmed iPhones.